The anchor is one of the most popular and famous of the tattoos available. Often used by members of the naval servicemen, the anchor is a sure sign of such a commitment. The anchor also has other meanings as well, including religious and cultural foundations. These meanings will be discussed below in detail. First and foremost, the anchor is a symbol of the Navy. Embellished with other insignia, the anchor is often a symbol of pride and sacrifice. This sign is important to sailors for a variety of reasons, but the bond that ties them to their fellow naval servicemen is often the most important. Chains, ropes, globes and other symbols may better define the person’s role as a sailor or marine. Often times there are associated words or acronyms used in the tattoo as well. The anchor has its roots as a secret symbol of Christianity. During Roman times, many people were persecuted for their beliefs. Of the many hidden symbols of Christianity, the anchor found its way into the religious and cultural worldview of many western cultures. Anchors with an obvious or exaggerated cross may be found on many people. The sun, hands in prayer, doves or other religious symbols may be associated with an anchor tattoo. Anchors are designed to keep a ship or boat in place, regardless of the pressures of the weather and waves. By keeping one with a sturdy foundation, the anchor is a clear symbol of conviction and determination. Worn even by those who are not bound by the sea, the anchor can find a home on any person. Fishermen, sailors, merchants and countless other professions of the sea have strong reason to take this tattoo. This may represent a variety of things to the individual with the anchor tattoo. Often times these tattoos will be adorned with other such symbols. A fisherman may have fish and hooks around the anchor. A sailor may have a sail boat as well. Merchant may be symbolized with large merchant vessels and treasure troves. The anchor is a symbol of gratitude as well. 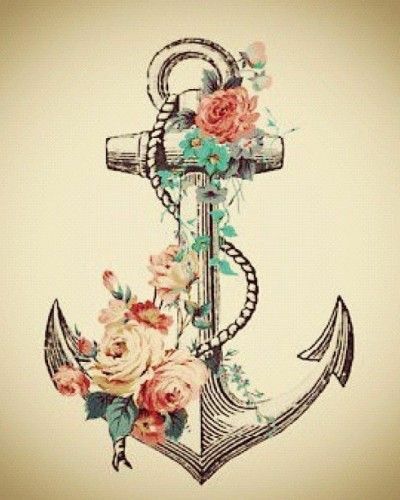 For many people, the anchor is a sign of appreciate for someone who has helped them in the past. This may be someone who is reliable in times of need. This may also be someone who is excellent at keeping them from taking a dangerous road. Family traditions may be represented by the anchor as well. There are countless adornments that can be associated with the anchor tattoo. Meanings can be expressed in a variety of ways by which symbols are behind and around the anchor. Fish and other sea life are clear representations of a love for the ocean. Military insignia are obvious reminders of military tradition. Some may place a heart behind the anchor, a potential symbol of gratitude. Each person may have their own meaningful symbol that they want to add. 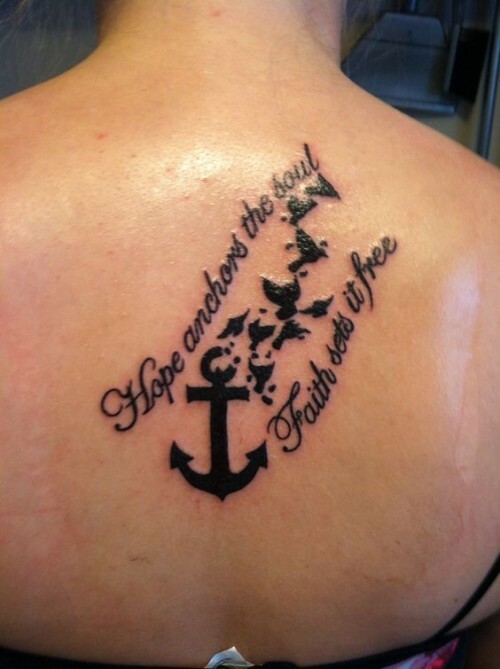 Words are often associated with the anchor tattoo. Mom is famously scrolled over an anchor tattoo on many tattoo designs. Naval servicemen or Marines may have designations added to show pride and loyalty. 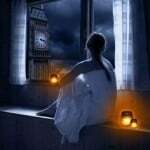 Peace, faith, love and other words of compassion and care may show a religious or spiritual attachment. Even sentences can adorn such a meaningful tattoo. 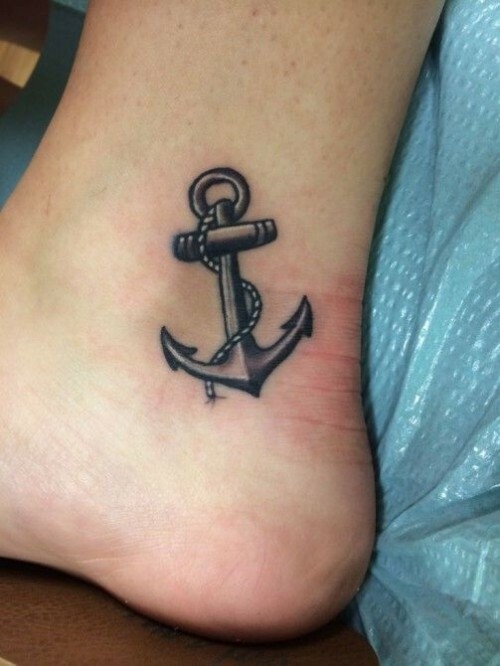 Whatever your reason for getting an anchor tattoo, you will be sure to love it. Be sure to make it your own as people will certainly ask about a deeper meaning. 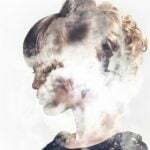 Be sure to speak with your tattoo artist about their advice and experiences, as it is certain that they will know how to make your tattoo unique and meaningful.